In the 1970’s, Japanese chiropractor, Kenzo Kase, had a unique idea to reduce inflammation, relax muscles, enhance performance, and help with rehabilitation. 40 years later, the use of Kinesio tape is hard to miss, especially during last year’s Olympic games. As Kinesio tape becomes more accepted and used by the general public, a variety of other therapeutic uses for kinesiology tape are beginning to surface. These 5 out-of-the-ordinary uses of Kinesio tape will improve your general well-being! You may be among the 45% of adults who snore, or even worse, you may be in a relationship with a person who does. Snorers, or their spouses, go to great lengths to put an end to the window-rattling headache. In fact, Americans lose 7.3 hours of sleep a week due to snoring. Instead of turning to bulky CPAP machines, use a more comfortable and affordable solution! When applied over the bridge of your nose, pre-cut strips act like a nasal strip but much more effective due to its breathable and stretchier material. The tape gently lifts the skin, opening up the nasal passages for increased airflow and reduces pain or tension from congested sinuses. Indigestion, or dyspepsia, is a common problem and many people have it from time to time. With up to 40% adults experiencing some form of indigestion each year, the common solution for most is to pop an antacid. However, popping Tums like candy in order to feel relief may not be a great idea due to the possibility of infection. Uncut Kinesio strips provide the nonintrusive solution to indigestion cramps. Apply one piece of tape at the center of the stomach above the belly button, mildly stretching at the center of the tape with no stretch applied at the sides. Then apply another piece of tape across the first piece with mild stretch at the center of the tape with no stretch applied at the sides. In the event of bloating, this application will stretch the area of skin around the upper and lower abdomen. 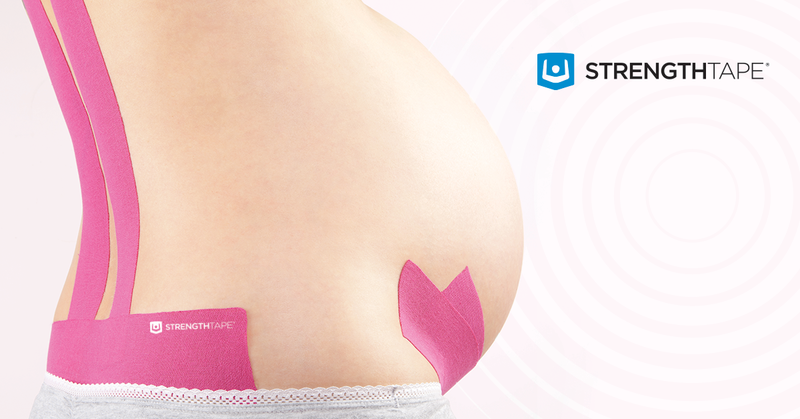 Unlike medications, Strength Tape contains no chemicals that could hurt or affect your baby. It provides treatment almost immediately upon application and provides much needed relief for up to five days. Not only can you use tape on your belly, you can also apply it for common pregnancy ailments like carpal tunnel, swollen feet and legs. We offer both videos and step-by-step tutorials to relieve pain due to your pregnancy. These are perfect for any mom-to-be who can follow along, pause, and find their place in the videos with simple numbered steps. 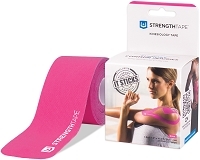 As more and more people utilize kinesiology tape in their everyday lives and more research studies are conducted, additional uses and applications will increase. One thing’s for sure, there seems to be no limit to the benefits Kinesio tape has on the human body! We’re excited to be a part of a growing movement to assist athletes, weekend warriors, and the general public to relieve pain, heal faster, and live easier. 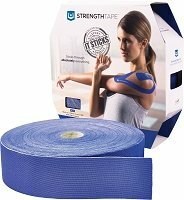 Have a unique use for kinesiology tape? Let us know. Find StrengthTape on Facebook, Twitter, YouTube, and Instagram!